A trip to space could eventually be as affordable as a regular holiday on Earth, former Nasa astronaut Mike Massimino, the first person to send a tweet from Space, has said. Massimino is in Dubai to visit the UAE's largest science fair exhibition - the National, Science, Technology and Innovation Festival (NSTI) - taking place at the Festival Arena until February 19. 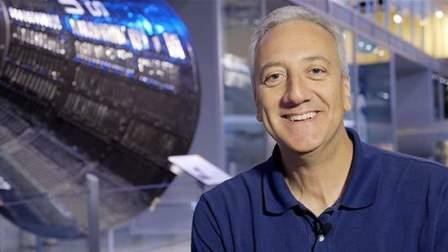 Massimino, 55, is a former NASA astronaut who was part of the STS-109 Columbia and STS-125 Atlantis shuttle missions to repair the Hubble Space Telescope. He achieved several spacewalk hours and orbits around the Earth during these missions. He has even played a recurring cameo role in the popular TV sitcom The Big Bang Theory. The space man spoke to Khaleej Times on the sidelines of NSTI and shared his views on what space tourism and exploration could look like in the future. "I think in order to do what we really want to do in space is - first - to have these private companies be successful. All the governments that are participating in space are necessary, but I don't see how you're going to get there without private enterprises being successful," Massimino said. "With what SpaceX has been able to do, and other companies like Blue Origin, they'll surely be able to fly people to space with paying customers and tourists. "The first few people that are going to go, are going to pay a lot. When a new technology comes out, it's expensive. But if you want to it be successful, you have to make it affordable. I think it's their goal for tourism. Blue Origin's mission is to make it as expensive as a holiday would cost anywhere on Earth. They can't charge people a million dollars to go to space; only a few people can pay that, so they'll have to bring the price down and I think they will." Virgin Galactic started selling tickets for space tourism in 2013, with prices ranging between $200,000 to $250,000. Massimino said he was "gratified" to see that many students who were displaying their science projects at NSTI had chosen the subject of space. He added that the UAE has invested a lot in the advancement of students' education in science, which he believes can benefit not only the emirates but also the rest of the world. "All of their projects are very impressive. There are a lot of them out there and each that I've seen is a very interesting idea and a fresh new one. It shows great teamwork and it's really professionally done for their age," he said. "I don't think I've seen anything like it, where students are given so many opportunities. It's astounding. It's been nice seeing how interested they are in space and space exploration. There's a lot of interest from young people."